Recently the children and I went to Supernova which is a pop culture expo. It's been on my to-do list for years but each time something came up. Well, not this year folks, this year nothing would get in the way of seeing what it was all about. Hubby decided he wouldn't come as he has trouble walking and standing for long periods of time and is not a fan of large crowds. The boys with Princess Bubblegum who was giving out free lollipos! I bought the tickets online as it was a few dollars cheaper, luckily kids under 12 get in for free so I only had to pay for Miss 15 and myself, woo hoo! We decided to catch public transport in to the city, as here in Perth a family day pass costs around $13 and I knew that by the time I bought petrol and paid for parking at the Convention Centre I'd need to take out a second mortgage! Jokes aside, when traveling into the city on a budget, public transport is the way to go. I also packed us some lunch, snacks and water as I know the food at these type of events is exorbitant. My kids are big fans of Adventure Time and the boys had decided to cosplay as Finn and BMO. 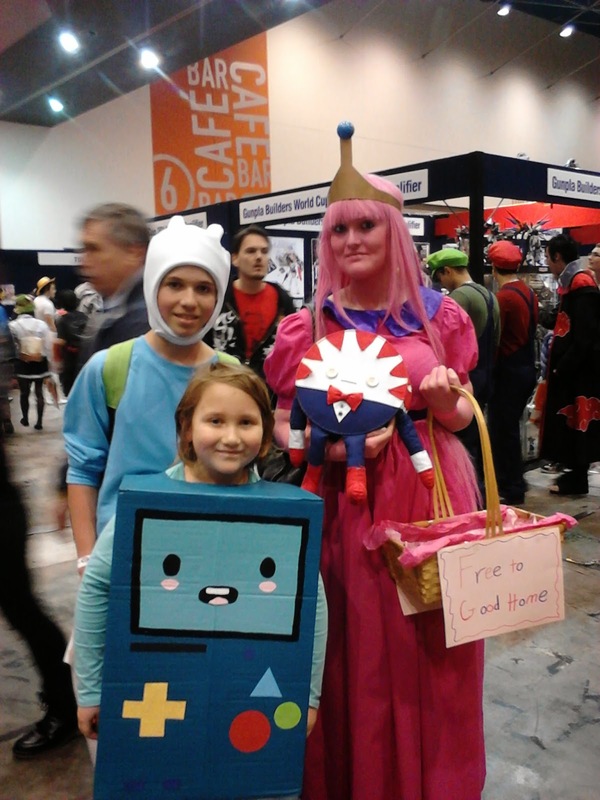 We made Mr 8 a BMO costume from a cardboard box, the instructions are in a previous post, and Mr 12's costume was mostly items we had on hand with the exception of a backpack he bought and the hat which we made from a tutorial on the Instructables website. 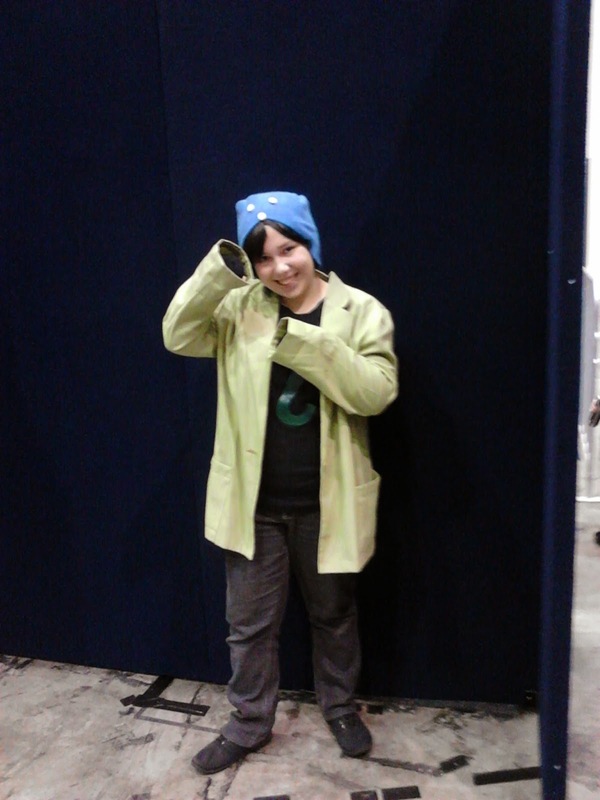 I thought it would be cool if Miss 15 also dressed up as an Adventure Time character but she had already decided to go as Nepeta from Homestuck. Oh, well. Just for future reference if you ever decide to cosplay and catch public transport be prepared for some peculiar stares, questions and comments. 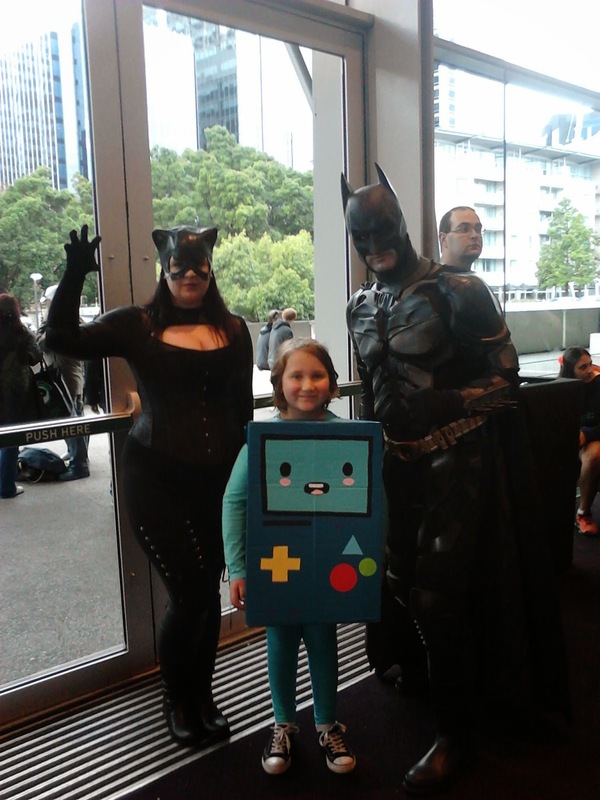 I'm not sure what I expected of Supanova, but we were amazed at the amount of cosplayers. It was fabulous! 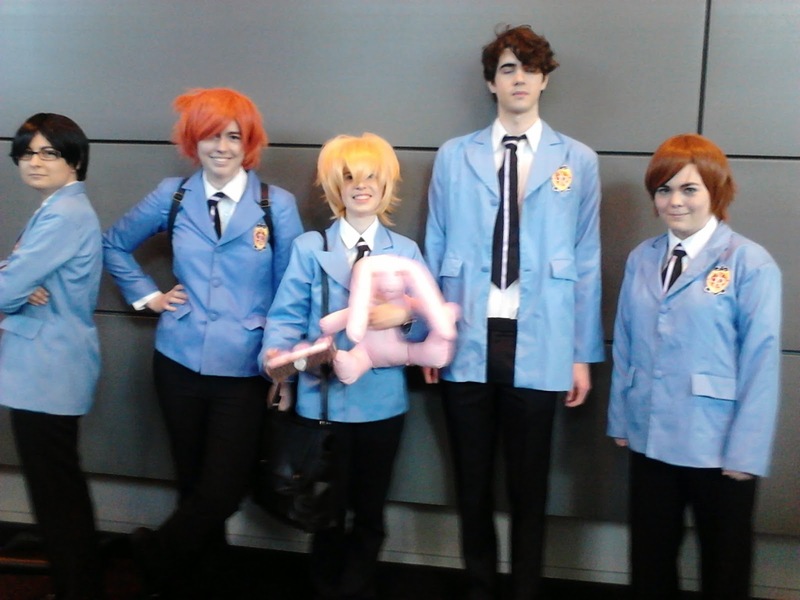 Within the first few minutes we had seen people dressed up as Katniss Everdeen, Cruella DeVil, various Doctors from Dr Who, several Maleficents, Pyramid Head from Silent Hill (I still regret not getting a photo with him) and the crew from Mystery Inc. I was definitely in the minority of the small percentage of people who weren't in costume. The venue was set up with stalls selling assorted pop culture collectables. There was also an area set up where you could sit and listen to a Q&A with some of the celebrities who were appearing, this was included in the entry price. 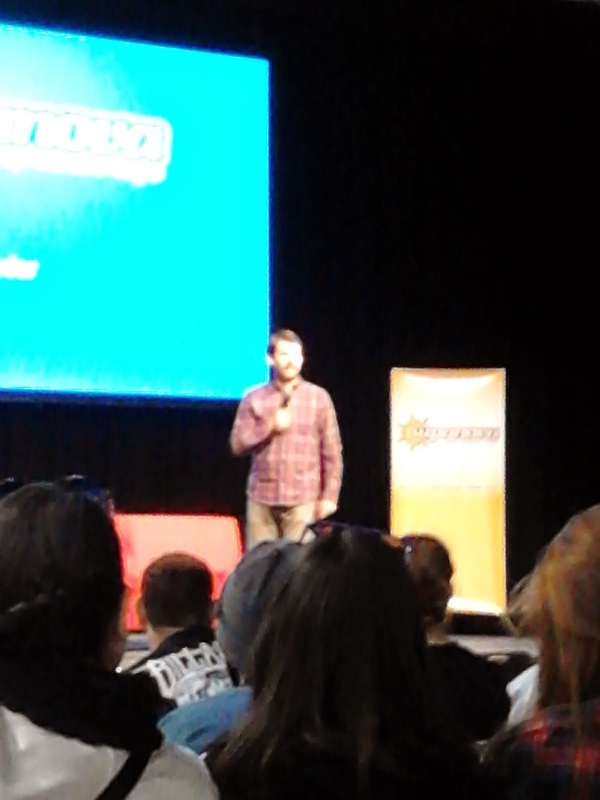 We went to the Q & A with Jon Heder from Napoleon Dynamite who was funny, delightful and down to earth. He told a few anecdotes on what it was like working with Will Ferrel on the set of Blades of Glory which was particularly amusing. 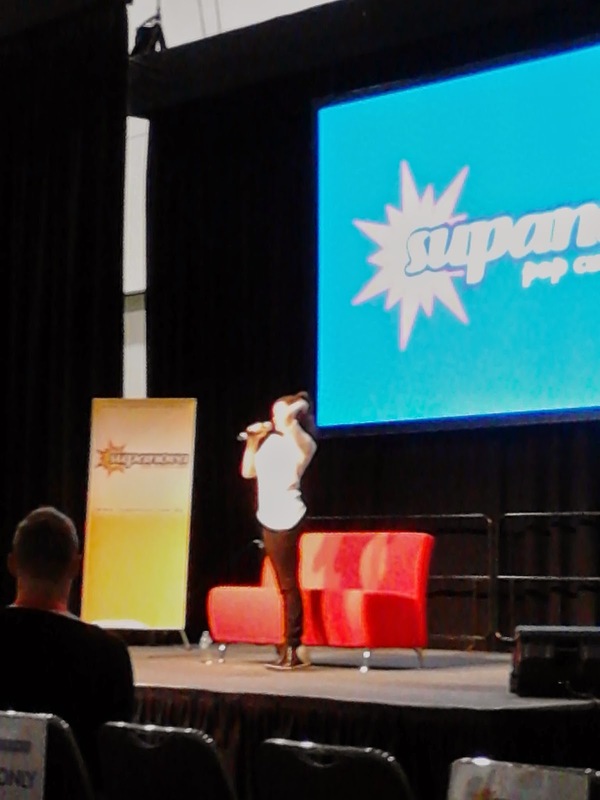 Miss 15 and I were also excited to see Rose McGowan best known for her roles in Charmed and Nip/Tuck. We had front row seats to this event and were fan girling hard. I had an urge to ask her what it was like dating Marilyn Manson but was too nervous. More regret! At Supernova there is an option to get photos and autographs with the stars for an additional cost, but being on a budget we decided not to do this. There was so many stalls and cosplayers to see, so we spent a lot of time just walking around. The other thing that really struck me was that everyone was so polite and more than happy to pose for a photo. 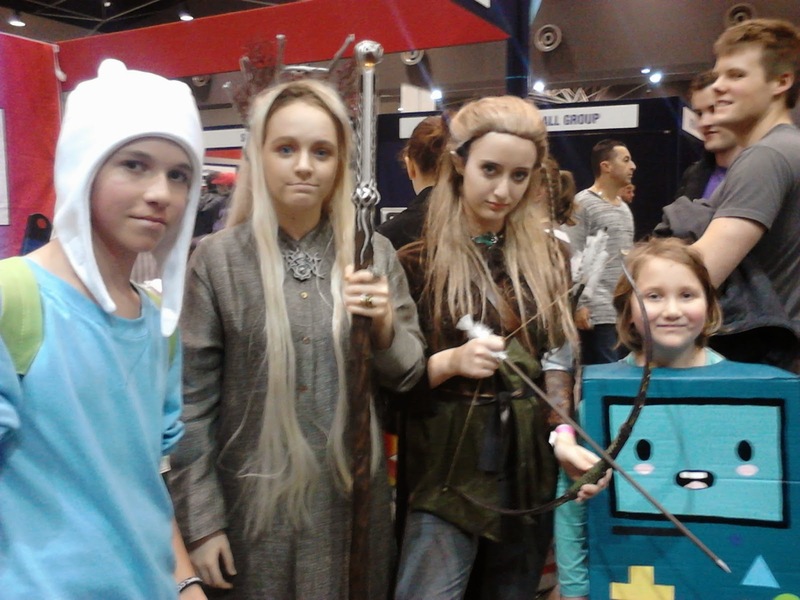 Lots of people came up and got pictures with 'Finn and BMO" and we even bumped into some other Adventure Time characters. Mr 8 later informed me that he now knows what it is like to be famous! It was a fun day and it awesome to see some of our most loved characters bought to life. 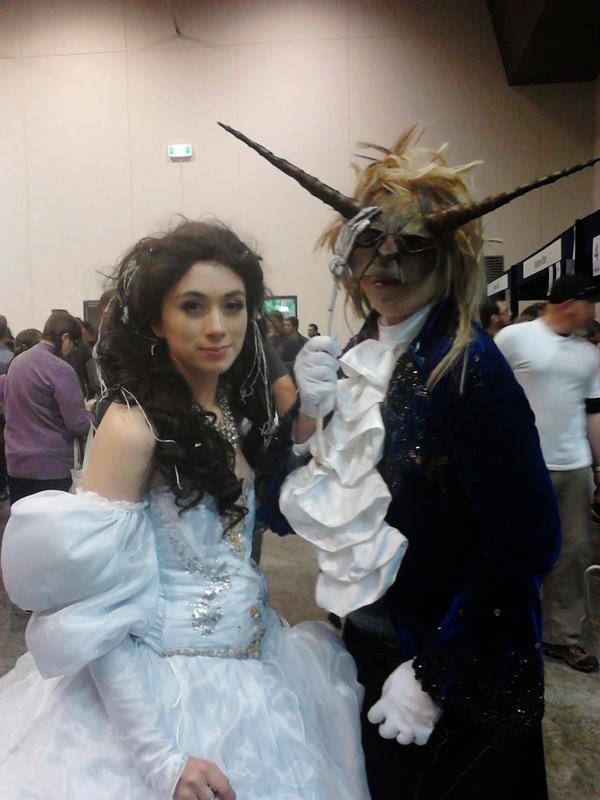 My favourite was Sarah and Jareth from the 80's movie Labyrinth. I watched this movie hundreds of times as a child and can still pretty much quote the entire movie. We can't wait to get started on making costumes for next year and maybe I'll dress up as well! Have you ever been to Supernova? What did you think?